Q-BIKE is a long-lasting lubricant specially formulated to clean, lubricate and protect bicycle chains. Designed to repel dirt, extend drive-train life, reduce chain noise and improve performance by reducing friction. 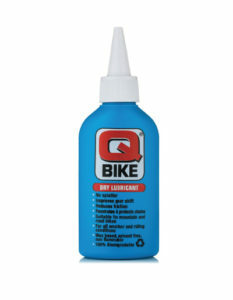 Q-BIKE is a biodegradable, water/wax based emulsion. Available in 15ml and 125ml.